In commemoration of Operation Market Garden, which 70 years ago was executed, found on Sunday September 21 all kind of programs in place and locations on the Waal. 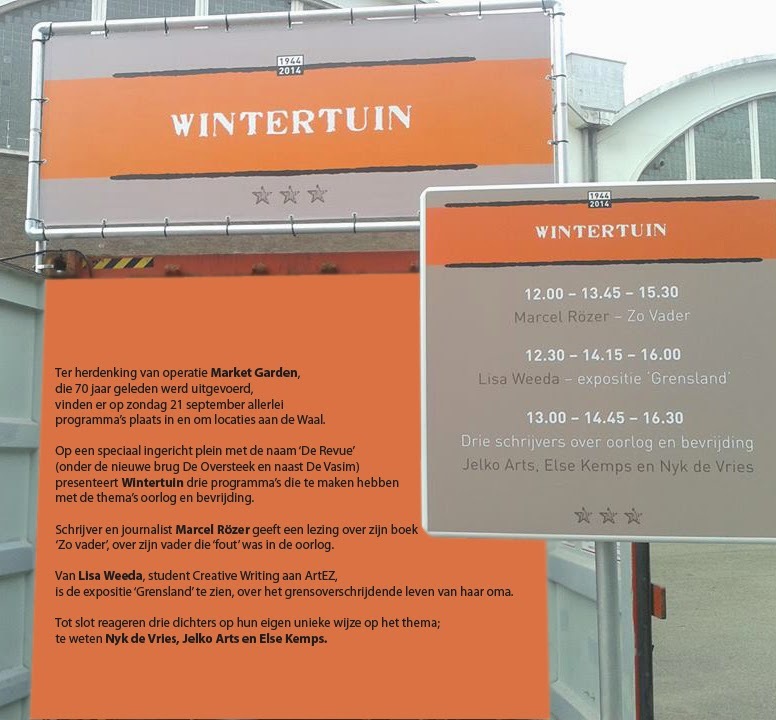 On a specially designed square named 'Revue' (under the new bridge crossing and beside De Vasim) Wintertuin presents three programs that deal with the themes of war and liberation. Writer and journalist Marcel Rözer give a lecture on his book "Like father", his father was wrong during the war.